As my lovely (and immensely talented) fellow reporter Shelley Haganman covered in Bind-it-All Part I, the Bind-it-All is an "all in one personal binding center." 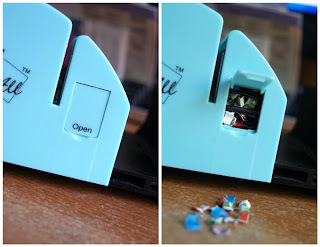 This compact little machine punches square holes through all kinds of materials...think photos, cardstock, chipboard (pretty darn thick chipboard I might add), fabric, canvas, leather, metal, and acrylic. The machine also closes the binding wires (purchased separately and in a multitude of sizes and colors to accommodate almost any project.) The machine can be used to create amazing books, but it can be used for SO MUCH MORE!! 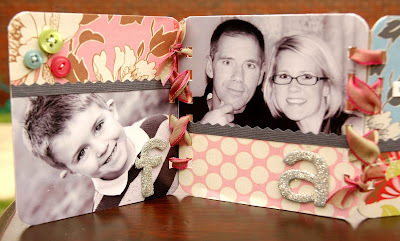 In Part II of the Bind-it-All review, I want to take you beyond book making! The Round-it-All is a mighty heavy duty corner rounder said to punch metals, chipboard, acrylic and other materials up to 1/8" thick. The Blue Round-it-All (the R5) rounds corners to a precise 1/4", while the Pink Round-it-All (R10) rounds corners to a precise 1/2" inch. I have (and am reviewing) the pink 1/2" corner rounder. 1.) I LOVE the versatility. While I do make tons of books with it, I use the whole punching for SO MANY other projects! 2.) I appreciate the compact size. I am not a gadget girl and don't want my creative space overrun with all kinds of bulky machines. The Bind-it-All fits easily under my table in a basket with all the other tools I own. 1.) It really does do an amazing job cutting right through SUPER thick chipboard (I tested it on just under 1/8" chipboard and for the most part had smooth perfect corners.) It absolutely delivers what it promises. 2.) It's designed to require very little muscle to punch...my 4 year old son can use it on 1/16" chipboard with no effort at all. 3.) It's consistent. Because of the way the handle is designed, I actually find it easier to get perfect corners on crazy-thick material than I do using my little paper corner rounder on paper. 1.) The little "trap door" that is supposed to hold all the punched scraps fell off the first time I ever used it. I have been to two workshops where their trap doors were missing too. It doesn't effect the functioning, just makes a mess. 3.) After "binding" (closing the wires) I often end up with less (sometimes VERY less) than perfectly round wire rings. When changing the size guide according to which wires I am using, I find I need to back the pressure off just a little and then "manually" (by pinching it with my little fingers) close the rings. 1.) While it works great on thick materials, I found it didn't work as well on paper and photos (I think the papers/photos were "too floppy" and just hard to nestle into the cutting slot). It obviously cuts through thin materials, but it's just not as easy and smooth. This doesn't change how much I LOVE the rounder....I was just hoping to be able to get rid of my small paper corner. 2.) On occasion, there is a rough edge to the rounded corner (oddly enough I didn't find that the thickness mattered a great deal in this...I rounded 48 PERFECT corners on very thick chipboard and then ended up with 2 rough corners on a piece of cardstock). I found this easy to fix with a little scrape of my fingernail. 3.) The "safety band" is a teeny tiny bit hard to get back on....so I am just leaving it off. This is really not a problem....but it's the ONLY other thing I could think that I didn't just LOVE about it. I wanted to combine the punching features of the Bind-it-All and the Round-it-All to take you beyond book making. 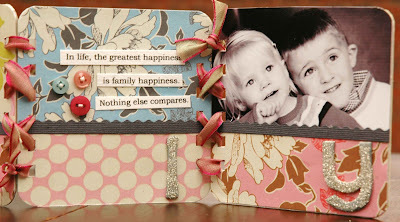 Supplies: Bind-it-All and Round-it-All: Zutter, Patterned Paper: Amy Butler for K & Co., Cardstock: Bazzill, Chipboard Letters: Scenic Route, Paint (used to adhere the glitter) Making Memories, Adhesives: Scotch ATG and Two Way Glue by ZIG, Buttons, Ribbon, Chipboard, Glass Glitter: Misc. For this project I rounded the corners of two pieces of cardstock with the Round-it-All and punched holes with the Bind-it-All. I used ribbon to tie it all together. What other fun things have you used you used your Bind-it-All for...or what other wild and crazy things can you imagine using your Bind-it-All for? Have you tried the Round-it-All....what kinds of materials have you used it on? I'm anxious to hear what YOU think! I admit I don't use my bind it all as much as I thought I would - Like you mentioned I have a hard time getting my o-rings to bend in a perfect circle (thanks for the tip). I don't have either of these tools, but this makes me want to get them even more. I'm sure they are both like anything else - you just have to use your imagination! Thanks for the review and the ideas on how to use the products. great review! honest and helpful, and adorable projects!! 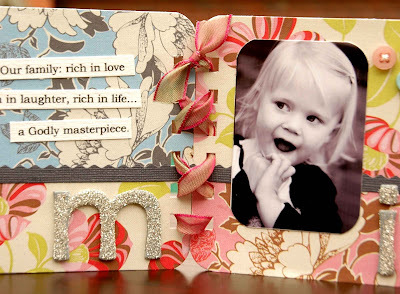 I can only imagine the cute stuff I could make- the bind it all is on my wish list- so until them I can only dream. Your projects are great inspiration! Great review. I love your honesty. I have wanted one of these forever, but with finances as they are, it is still just a wish for me!!! Have a blessed day! I loooove that you didn't make a standard album. Thanks for showing us different projects that could be made with teh Bind It All. I love your mantle piece. 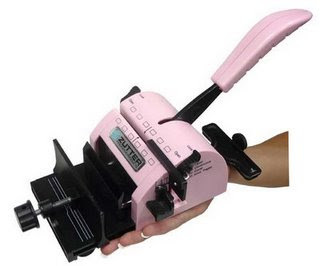 I will admit that I have never used this tool but from you projects, I want one. 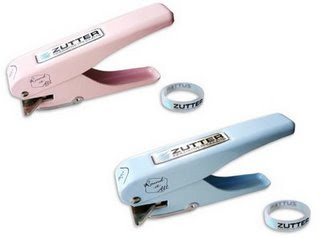 It seems so transitional in the munber of things that you can do with this tool. I love it. Oh, how I would like one! I've branched out into other paper crafts and could have used this tool last night! I'll definitely put this on my wish list. Thanks for the great review! I have a bind-it-all and the last time I used it was to re-bind my daughters homework assignment book that fell apart. Sometimes it pays to have a crafty mom with tools! I never heard of the round-it-all, but it looks fantastic. Thanks for a great review. I have both tools and though I haven't used my BIA much, I have used my RIA and I love it! WOO HOO! I have never used either of them, but after your reviews I might find myself trying one out soon. 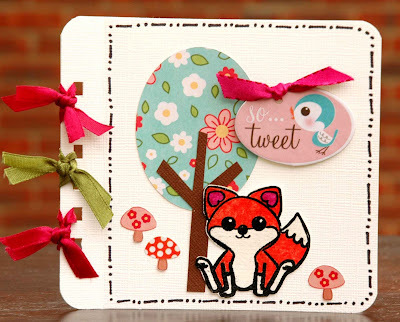 Your projects are so cute, I love the "so tweet"
Thank you so much for the review. I've looked at the corner rounder a few times, but could never decide if it was actually worth it. Now I'm excited to get my hands on one! I have used my SU! demonstrator's BIA. It was too expensive for the few times I knew I would use it. It was a little confusing when I went to put the binding on... remembering which way would give me the correct "front" or "back." I have not tried the RIA. LOVE the mantle decoration you created. Beautiful! Gorgeous projects - well done! Fabulous review - you took the words right out of my mouth for both tools! I love your projects using the BIA, I want one even more now! !